« California ‘Droning’ …… T-shirts anyone? oh and a little discussion! I thought it would be an idea, to post all the information, on the stephenville sighting ( 2008 ), in four large parts… so you can look through them much quicker, all in four parts (otherwise 24 links= a bit bland possibly?)…. i had planned on just adding the links, but thought that i would repost them in full again, for much easier reference ( i hope!). As i have not properly reported about what has gone on since my last post on the sighting/sightings, i thought it would be good to catch up in my last part ( part 4 ). As links to external sources are not recent, i am afraid that they may not be available now…. please bear this in mind, as they are now relatively old. These posts ( as they are relatively large ), will probably take time to load….please be patient. thank you. I have noticed that all Stephenville empire tribune posts: you have to login, and also pay to see the posts… ( i do have the posts archived on computer though for future reference ). After i was alerted by Steve at ufospider.com (thanks for that, as i missed this…. his link to this can be found here , with different videos), i’ve managed to find quite a few articles and videos to this event; it seems to be gathering momentum. Spotted by : Quite a few witnesses ( i think initially by 30-40, but might be more now, as more have come forward? ) prominent among them – pilot/business owners/county constable. What: UFO (thats Unidentified Flying Object) – bright lights ( some suggest like strobe lights) – low flying + fast (however, various other descriptions are given too); also some say it was chased by jets. Officials respond by saying it was possibly a plane ( due to light conditions, made it seem more extra ordinary ); some witnesses suggest a military aircraft ( unknown to the public,possibly ). Also, it seems it has caught the attentions of the Mutual UFO Network, which plans to go there and find out more..
Below are some ( not all, by any means ) of the articles/posts/videos available… none ( of the videos ) that we know of, have the ufo in question, just their opinions on what they saw. cbc.ba mantions that “Multiple reports of ufo-like sightings in Texan town” ( 14th january,2008 ). nationalledger.com “Video, Texas UFO sighting: What was spotted over Stephenville?” ( posted january 15th,2008 )…. with video link near bottom of article (or see http://video.nbc5i.com/player/?id=205072 ). SFgate.com reports that “Dozens in Texas Town report seeing UFO” ( posted january 14th,2008 ). KLTV 7 “UFO sighting inErath County, Texas cause speculation, consternation” ( posted 16th january,2008 ) with video link. Postchronicle.com “Stephenville UFO sightings video: photo reward offered ” ( posted january 16th, 2008 ). nbcsandiego.com says “Texas town buzzes over Rumoured UFO sightings” ( posted january 15th, 2008 ). san angelo live mentions “UFO sightings in Stephenville, Texas, keep the city and nation abuzz” (posted 16th january, 2008 with a discussion with MUFON ( with podcast included **** worth listening too ). I will update on any further developments…. i believe MUFON will be there this saturday intervewing the witnesses? hopefully we can find out what is going on. An initial sighting on the 8th january at 6.15pm; it seems this happened over a period of 2 days? Government/military say commercial planes reflecting light, the cause? It was moving fast ( a pilot gave an estimated speed of 3000 mph ), so unlikely lanterns, ect. Military deny that it was chased by jets ( as some report seeing? ). So therefore, it gives us alot of questions, without any real answers yet? I hope MUFON, who arrive on saturday ( will be taking statements from witnesses from 1pm ) will be able to fill in the gaps for us all. There are different reports of this UFO ( is it shape shifting? )…. the witnesses could be therefore seeing the same thing, but in a different form ( obviously, just speculation here ); or could it be something else? Checks on NASA’s ( recent debris ) database site, reveals that no man made space debris was re-entering around the dates mentioned. Most report seeing a large UFO ( similarities to Guernsey UFO sighting,as in size?, In the channel islands, posssibly? ) See my link to this sighting here and here ). Larry King live on friday will be interviewing MUFON investigators, and this will be worth watching (i hope). http://www.empiretribune.com/articles/2008/01/14/news/news01.txt ( 14th january ) sorry for gap above….unable to resolve? Also man claiming to have seen similar over Lake Travis ( not sure about this.. By MY Fox Kansas city- posted 17th january )…. I would question this photograph, as he says he did not see anything unusual in the sky at the time he took the photo?? this could be absolutely anything, i’m afraid. Also just seen…. Pilot says he can explain Stephenville UFO sighting ( updated 17th january )… its flares?? The best thing too do here, is to keep an open mind, although we will be inundated by quite alot of mindless rubbish, i shouldn’t wonder. For map of some of the sightings please see link below (tried to be as accurrate as possible). Thanks to ghf4 for posting these links to the Larry King show ( they come in 4 parts ), which was aired on january 18th,2008. ( just updated late 19th january, as ghf4’s videos were taken off….thanks to lalasufo ..phew! ). for all videos edited by livevideo.com (including the Larry King live show*((which is only briefly shown)) on the Stephenville ufo, but also other interviews,ect which gives a good insight into what is going on). Other alternative sites (to you tube) for the Larry King Live show will be found. The only other fairly recent UFO sighting of that size, was in 2007, in the UK: so for interests sake i have put it on here ( apart from the size they are different ). Plus : Stanton Freidman talks about the 1996 yukon incident…. MUFON arrived saturday 18th, 2008 to talk to witnesses of the Stephenville UFO sighting which occurred on january 8th. There are conflicting reports as to how many witnesses there were, from about 50 to 200 witnesses ( i would suspect it was nearer to 50 ), to fill out questionaires and to talk about what they saw to MUFON. The hall at Dublin was full, with about 500 people, and the ever present tv cameras, and journalists. It seems the UFO sightings, took place from 6.15pm ( january 8th,2008 ) until around 4.30am the next day ( january 9th,2008 ). Star-Telegram.com has a good article “UFO investigators land in Dublin to quiz locals” ( 20th january 2008 ). It mentions “Before talking to investigators, witnesses filled out forms that included questions about the object’s direction, distance and flying behavior. They were asked to sketch what they saw. Then they sat down to be interviewed by MUFON investigators for about 15 minutes each” (extract from article). It also says that MUFON will take, from a few months, up to a year, before a report will be made available. From the same media “Maybe it came from the dog star” ( posted 20th january,2008 ); this talks mainly about a photo (taken on a cell phone), on front of the news story (star-telegram), on friday…..and it was a sun dog; 2 scientists say it is not related to the incident. This is in relation to….. “Truck driver Sean Kiel is the center of attention in downtown Dublin on Saturday. He took a photo of a strange object in the sky Jan. 8 on Interstate 20 near Cisco” (extract from article). cbs11tv.com “Mutual UFO Network comes to Stephenville” ( posted 19th january,2008 ) Short article. The transcripts to the Larry King show on friday 18th january 2008 can be found here . 24th january: Stephenville UFO latest; Air Force:Flights of Fantasy or Chasing a Cause? This is the latest on the Stephenville UFO….. I will start on the media links to this first,and then add my thoughts. “Ten F-16s from the 457th Fighter Squadron were performing training operations between 6 and 8 p.m. on Jan. 8 in the Brownwood military operating area, which includes Erath County. “”In the interest of public awareness, Air Force Reserve Command Public Affairs realized an error was made regarding the reported training activity of military aircraft,”” said today’s press release from the Naval Air Station Joint Reserve Base in Fort Worth” (extract from article). cbs5.com “Texas UFO Mystery Solved?” (posted 23rd january, 2008 ) …. “Originally, the 301st Fighter Wing at the Naval Air Station Fort Worth Joint Reserve Base said none of its jets were in the area that night” (extract from article). KVIA.com reports (short article) “Miltitary now says jets on training mission during mysterious lights” (posted 23rd january, 2008); similarar information to Star-Telegram above. chron.com “Military now says jets in area of reported UFO sightings” (posted 23rd january, 2008, with more information on this article) ; of interest “”This supports our story that there was UFO activity in that area,”” said Kenneth Cherry, the Texas director of the Mutual UFO Network, which took more than 50 reports from locals at a meeting last weekend. “”I find it curious that it took them two weeks to ‘fess up. I think they’re feeling the heat from the publicity”” (extract from article). Also from chron.com “Military says planes in area of Texas ufo reports (with video) “ (posted 23rd january, 2008). “Allen said that the planes’ training area in the Brownwood Military Operating Area that includes Stephenville’s Erath County does not include the airspace where he saw the object. Also, Jan. 8 was not the only day sightings were reported” (extract from article) and “Some residents aren’t buying it, though, saying the military’s revelation actually bolsters their claims because several reported seeing at least two fighter jets chasing an object” (extract from article). “”I think it’s a little late … then there is a comment here about an error. The military isn’t supposed to make errors. I think it’s just a standard cover up. That is immediately what I am thinking … some kind of cover up,”” said Hudgeons. “”With the lights going around as quick as they said they were … I just don’t see them being aircraft””. If the lights were military aircraft, Hudgeons wants to see them again, NBC 5’s Omar Villafranca reported” (extract from article). And to add this into the melting pot at the end, an interesting article entitled “more UFO sightings reported over texas” (not sure of posting date, by axcessnews.com). “Meanwhile, WOAI Radio in San Antonio reported that UFO sightings took place that same night over the city and were seen by dozens of witnesses. The Mutual UFO Network, or MUFON, reported that accounts were coming in as far away as Corpus Christi, all identifying similar UFO characteristics as the lights seen over Stephenville earlier that night. MUFON’s Texas chapter website carries eyewitness accounts of UFO sightings taking place the following evening and again on January 10th, reporting similar characteristics of bight lights, no sound and rapid high-speed travel” (extract from article- also warrants analysis by me, and a post soon). dallasnews.com “Texas UFO mystery solved” (posted 24th january,2008 ) ; I have added a quite long extract from this article as it has some very good points (and brings up an old theory)…. 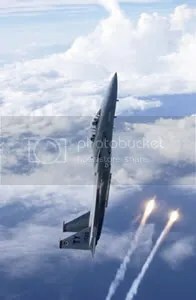 “One battle tactic used routinely by F-16s involves the ejection of flares that are intended to confuse heat-seeking missiles. The flares can be ejected several at a time, and could form a pattern of bright lights traveling across the sky. But such activity would not match other aspects of the descriptions of the Stephenville lights. Witnesses generally described what they saw as silent, apparently changing speeds and passing over populated areas. That does not sound like a flare release, said Jay Miller, an aviation consultant and historian in Fort Worth. For one thing, any jet that dumps flares would also be trying to get away as fast as possible. “He’s going to be in full afterburner,” Mr. Miller said, and that’s very loud. But the jets wouldn’t be the only noise associated with flares. “Flares don’t burn silently. They actually burn quite loudly,” he said. Flares are also extremely hot and dangerous, and it’s highly unlikely that any drill would involve their use over populated areas, Mr. Miller said”. (extract from article). thelede.blogs.nytimes.com “F-16s at scene of UFO sighting in Texas” (posted 24th january, 2008 ). There are other articles, but many are either very brief, and/or cover the same ground. You may well ask, what is going on? and to be honest so do i? To start with, what disturbs me, is the fact that the Air Force takes 2 weeks to do a U-turn and then admit that 10 F-16s were in the air; of course, the obvious question to be asked here is, were they in the air around this area (between 6 and 8pm), and if they were, were they chasing these UFOs. So basically, is it a cover-up story, to try to knock the stuffing out of the story; problem is, that there may be a flip side to this, and it might (hopefully) highten the story for more answers by the military. Hudgeons (from MUFON) makes a very valid point, in that, if this was the Air Force, then there should be no problem redoing/recreating the event for all to see (would never happen mind, but i like his thinking/method). 1 Why is a training exercise classified? as they will not go into operational procedures, not even the basics? 2 F-16s do not hover (unless i am wrong in this). 3 F-16s create sound ! and lots of it. 4 F-16s are not 1 mile wide. Remember, all we are trying to establish here, is whether it is an UFO (Unidentified Flying Object) nothing more at this stage. Maybe, the media should attempt to contact the F-16 pilots and ask them for a response (unlikely due to national security issues, i should imagine, but worth a try). Ask for a copy of their communications with ground controllers (AWACS). I hope they will generally put the heat up a bit, and apply pressure…. we need answers to our questions? I’m also waiting for the Air Force, to next say that flares where used (does this sound familiar), see extract from dallasnews.com (Texas ufo mystery solved, in red writing)… this all has very good questions to be asked, if the time arises, especially using them in populated areas. Also MUFON has had eye witness accounts, from the same time period, either side of the 8th january, in other areas, all with the similar accounts to Stephenville… were their trained F-16s all over the place? 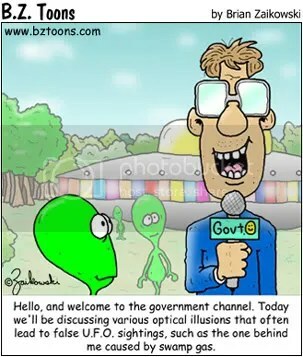 I believe MUFON will soon be interviewing these witnesses too, soon. Will the Air Force hide behind classified information, and National Security, to bluff their way out of this one. Again, i say we need answers to questions? whether we will get them is another matter? What do you think is going on? is it a cover-up? is it that they are hiding tested super secret stealth aircraft, with F-16s tailing it, to test the local populations reaction to it? is it an IFO (identified flying object)? Is it a UFO? are you worried that the Air Force does not seem to know where the hell (supposedly) their planes are? Is the Air Force using flights of fantasy or chasing a cause? The 301st Fighter wing website can be found here . The Air Force Reserve command link for FOIA can be seen here with email and address to write too. Photos of F-16s can be seen here and here. 25th january : Stephenville ufo: not just here, but in areas such as San Antonio? It seems that the UFOs were not just confined to Stephenville, but were seen in San Antonio, Victoria and even at Corpus christi.Walter Andrus Junior, (from MUFON)mentions that on the 8th january, something else was going on at San Antonio…. a UFO was seen at Interstate 10 and Wurzbach road. They reported seeing a cigar shaped UFO, with a multitude of lights. He then goes on to mention that MUFON, will now talk to these people as well (that is from San Antonio, Victoria and near Corpus Christi). The report of all this, looks like it will not be ready until the end of 2008 now. It does not say what the witnesses say at Victoria or near Corpus Christi? Not sure of the relevance of this, but thought it wise to mention this on here. This entry was posted on April 16, 2008 at 8:51 pm	and is filed under are we alone?, extraterrestials, flying Disk, Larry King -on stephenville ufo from youtube, news, newspapers, out of this world, science, stephenville ufo, stephenville ufo sighting 2008, texas ufo 2008, ufo, ufo cover up, UFO Documents/archives, ufo in north america, ufo research, ufo video. You can follow any responses to this entry through the RSS 2.0 feed. You can leave a response, or trackback from your own site.